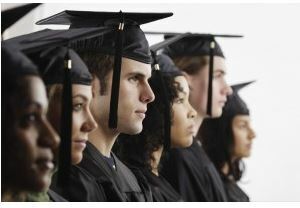 The Colorado Department of Higher Education on April 8, 2014, announced the launch of a new program that will make it easier for transfer students – and those who have spent years in college classrooms without earning a degree – to get the credentials they deserve. Degree Within Reach is Colorado’s way of describing reverse transfer, a process allowing students who have transferred from a Colorado Community College System campus to a Colorado university to combine credits from both institutions and apply them toward an associate’s degree. For current or former transfer students, this means they can complete the associate’s degree they started at a community college while still working toward a bachelor’s degree. Former transfer students may also be eligible. Research has shown that earning an associate’s en route to a bachelor’s can motivate students to fulfill their academic goals. An associate’s degree also boosts earning potential, allowing students to make more money if they’re working and going to school. By the end of 2014, all of Colorado’s colleges and universities will become part of Degree Within Reach, an initiative passed through legislation in 2012 and partially funded by a grant from the Lumina Foundation. For more information, go to http://DegreeWithinReach.org. Check out this summary of research out of the University of Illinois at Urbana Champaign on the possible benefits to transfer students of programs such as Degree Within Reach. For students who transfer from a community college to a university, the chances they transfer with an associate degree are not very high. Researchers estimate that about 20% of community college transfers make the transition to a university with an associate degree in hand. This group of students has recently become the focus of programs that many institutions and states are referring to as ‘reverse transfer,’ as is the case with the Credit When It’s Due (CWID) initiative. My article in the Spring edition of OCCRL’s biannual newsletter, Update on Research and Leadership, addressed reverse transfer programs – not to be confused with existing definitions of reverse transfer used by researchers to refer to students’ physical transfer from a university to a community college. In the context of CWID, reverse transfer refers to the awarding of associate degrees to transfer students who complete the associate degree requirements while pursuing a bachelor’s degree at a four-year college or university. OCCRL researchers are the research partners for the CWID initiative that involves 12 states with funding from one or more of the following foundations: Lumina Foundation for Education, The Kresge Foundation, the Bill & Melinda Gates Foundation, USA Funds, and The Helios Education Foundation. This year, Degree Within Reach is expanding to several other institutions, including Colorado State University, CSU Global Campus, Regis University and Western State Colorado University, according to Sierra E. Fleenor, research analyst with the Department of Higher Education who is organizing reverse transfer work. Work is well underway on a new stop-out subcommittee and a juiced up communications subcommittee. The data subcommittee has its work cut out as well to ensure a smooth review and transfer of student data. Fleenor said eligible students can expect to begin earning reverse transfer degrees under the first year of the Degree Within Reach program by the end of the year, when a plan for how frequently degrees will be awarded will be in place. Meantime, a website is up and running. A video targeting students is also in the works, as is a Facebook page for the program and a media rollout. Forty people now have associate’s degrees who otherwise would not thanks to the pilot reverse transfer program between Metropolitan State University of Denver and the Colorado Community College System. MSU Denver in spring 2012 partnered with the Community College of Aurora, Front Range Community College and Community College of Denver to test drive reverse transfer – a program that in Colorado is now called Degree Within Reach. Denver – Lt. Gov. Joe Garcia today announced the Colorado Department of Higher Education will receive $450,000 to help implement “reverse transfer” policies between the state’s public institutions of higher education as part of a statewide initiative. The “Credit When It’s Due: Recognizing the Value of the Quality Associate Degree” initiative is designed to encourage partnerships between community colleges and universities to significantly expand programs that award associate degrees to transfer students when the student completes the requirements for the associate degree while pursuing a bachelor’s degree. This approach is commonly known as “reverse back” or “reverse transfer.” The Colorado Department of Higher Education, with support from College-In-Colorado, is partnering with the Colorado Community College System, Metropolitan State University of Denver, University of Colorado-Colorado Springs, University of Colorado-Denver as well as Colorado State University-Pueblo. Eligible students are not able to consent to receive a degree through Degree Within Reach through this website. Please follow the instructions you receive in an email message from your four-year institution.